Through her quilt-making practice, Elizabeth Brandt is confidently redefining a beloved ancient craft that has uniquely represented both artistic expression and utility in tandem. 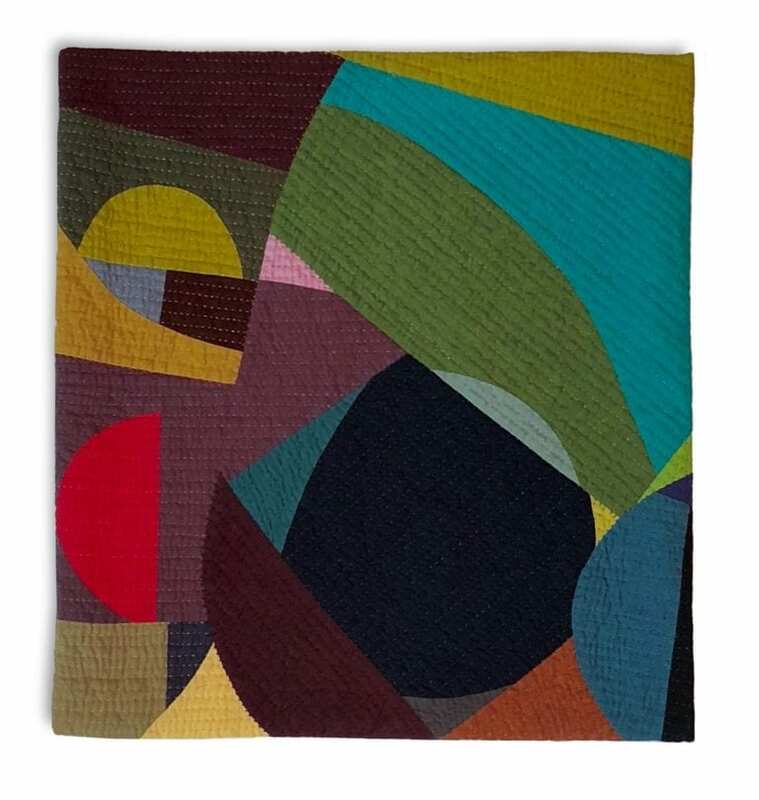 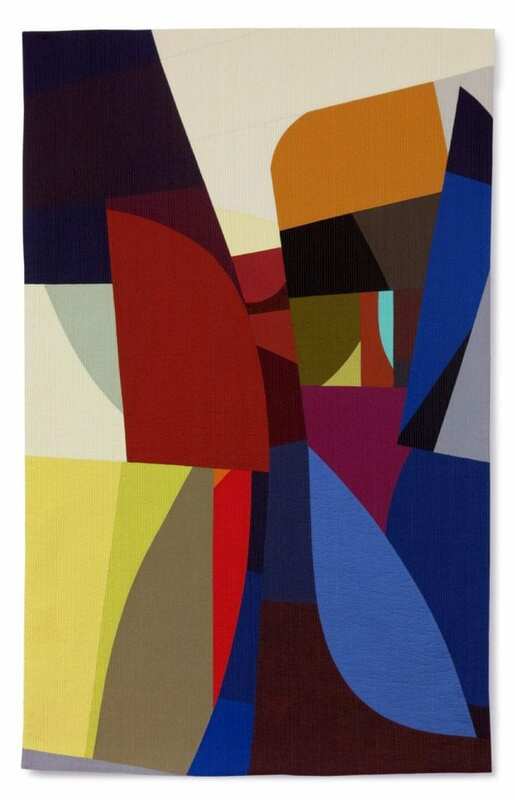 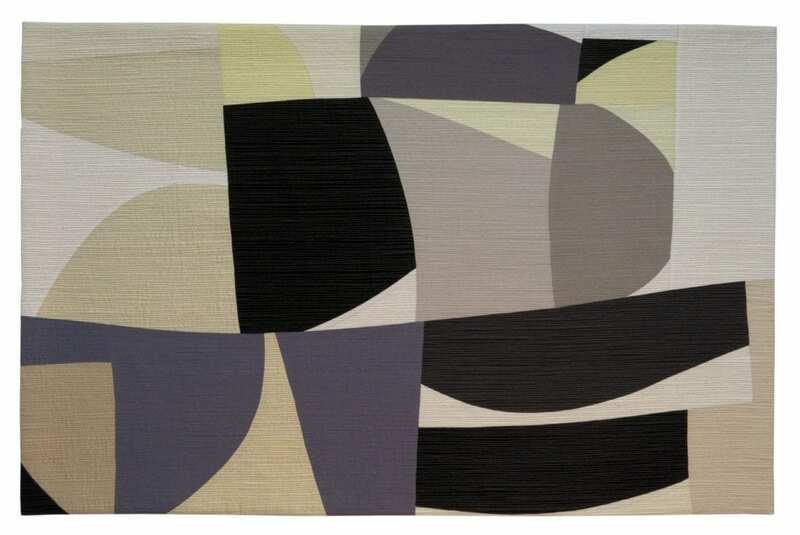 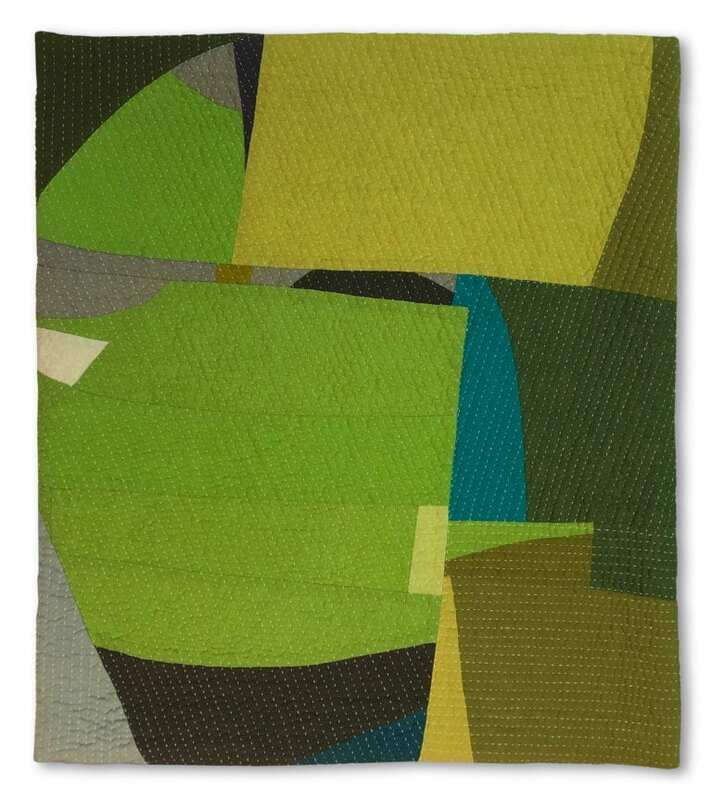 After years of discipline in Zen meditation and multiple different art forms, Brandt has been able to create a vocabulary in fiber that is entirely improvisational in shape, unexpected in color, dynamic in movement, and entirely at home in the context of contemporary art. 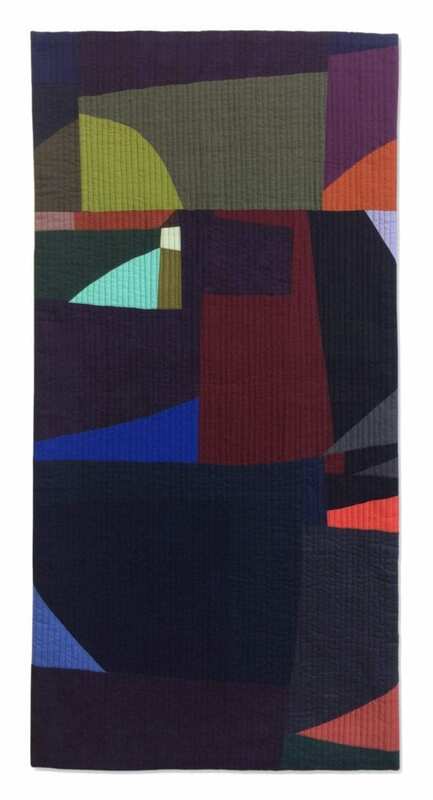 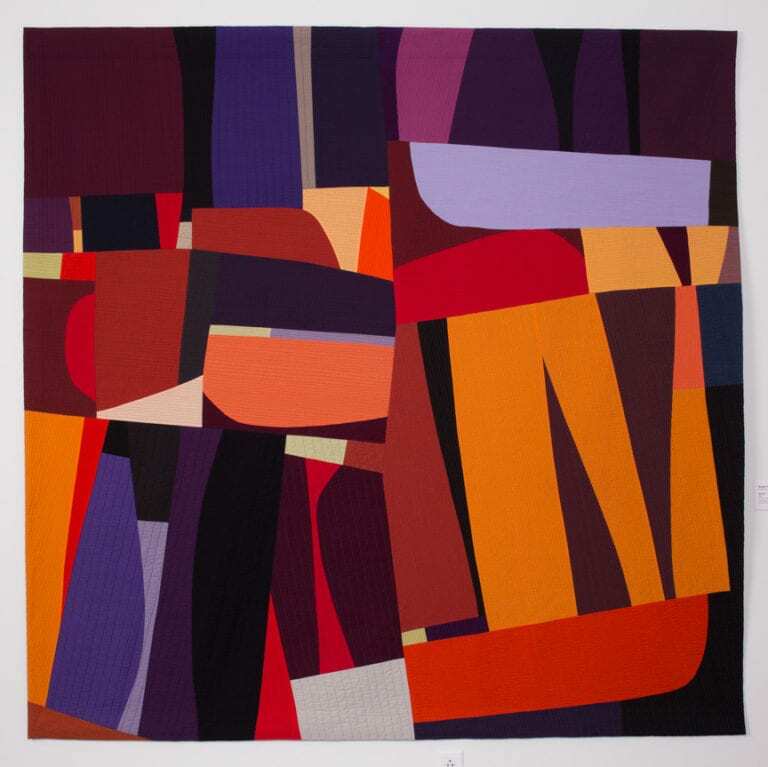 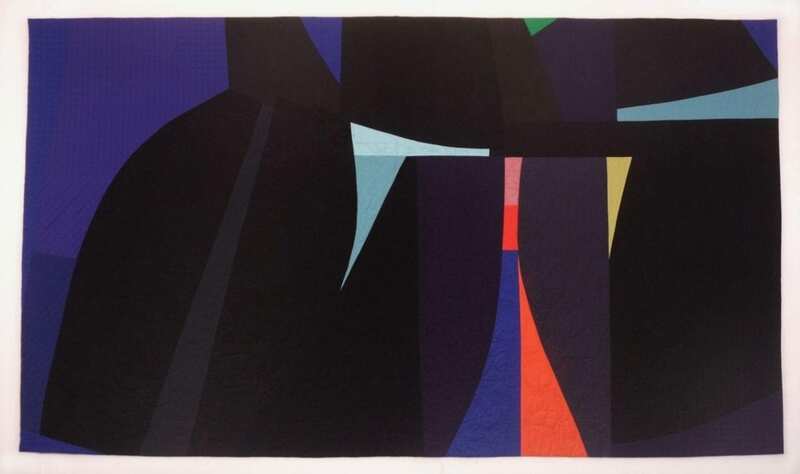 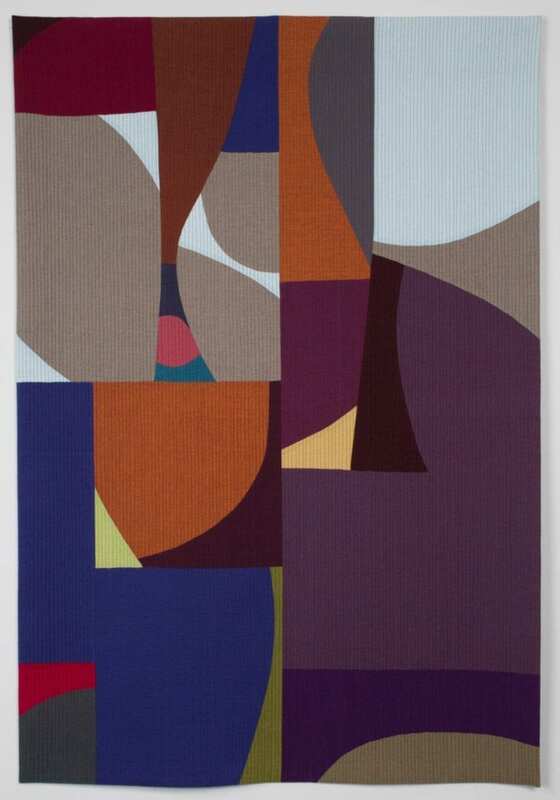 Her use of analogous color schemes is satisfyingly balanced by the subtlety of grouped dark tones and neighboring pockets of oranges, reds and yellows, or “areas that glow.” The linear stitching of the surface ties together all of the bright and nuanced, large and small, soft and hard edges. 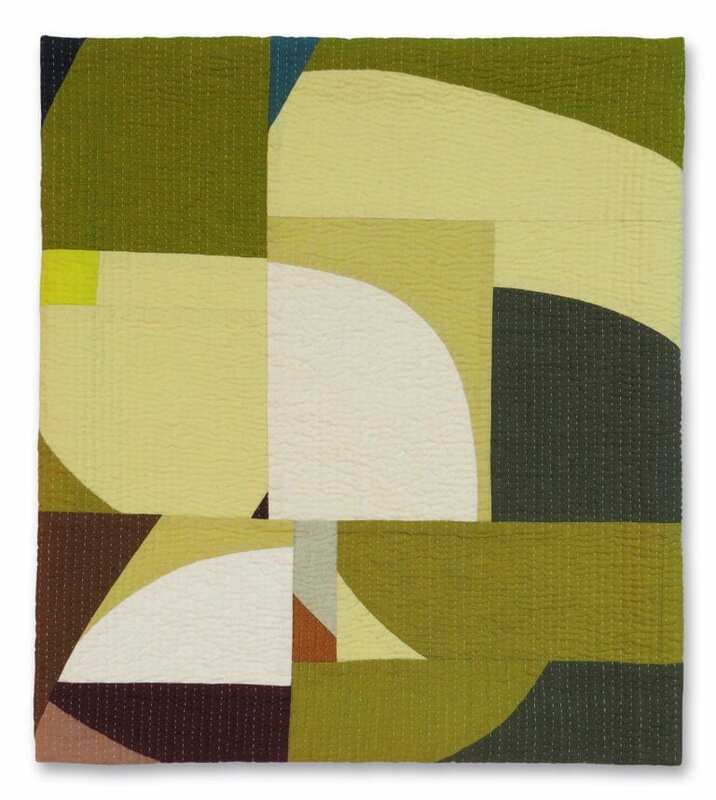 Brandt remains open by moving different cuts of fabric around to see if something unexpected will happen, and diligently focuses her attention in the last stages especially when the repetition and density of stitching can keep her in front of the sewing machine for hours. 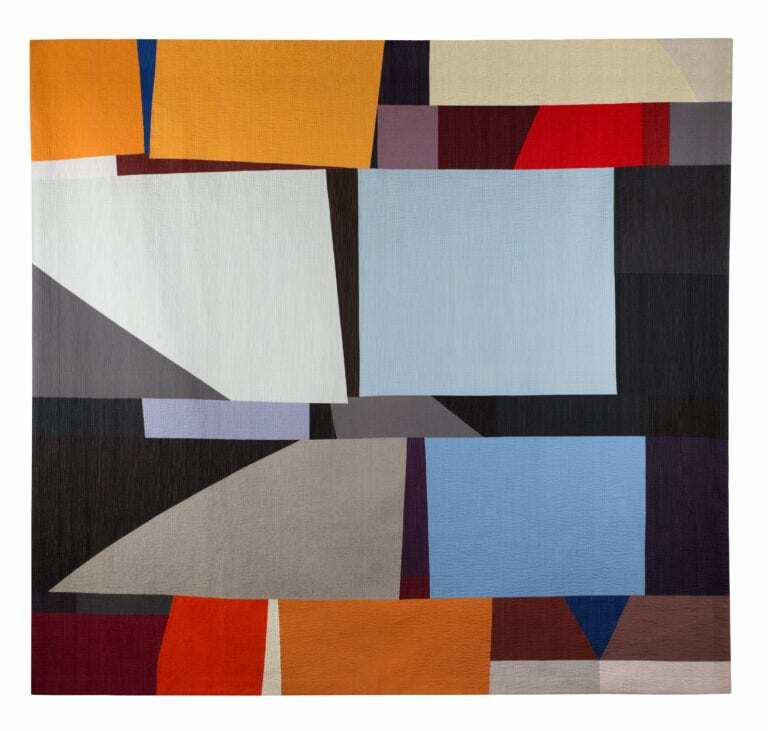 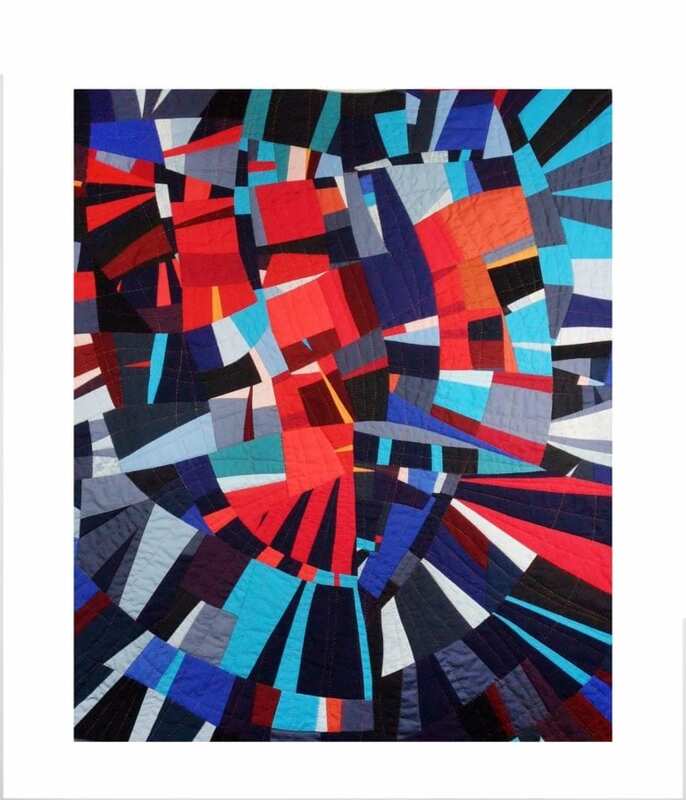 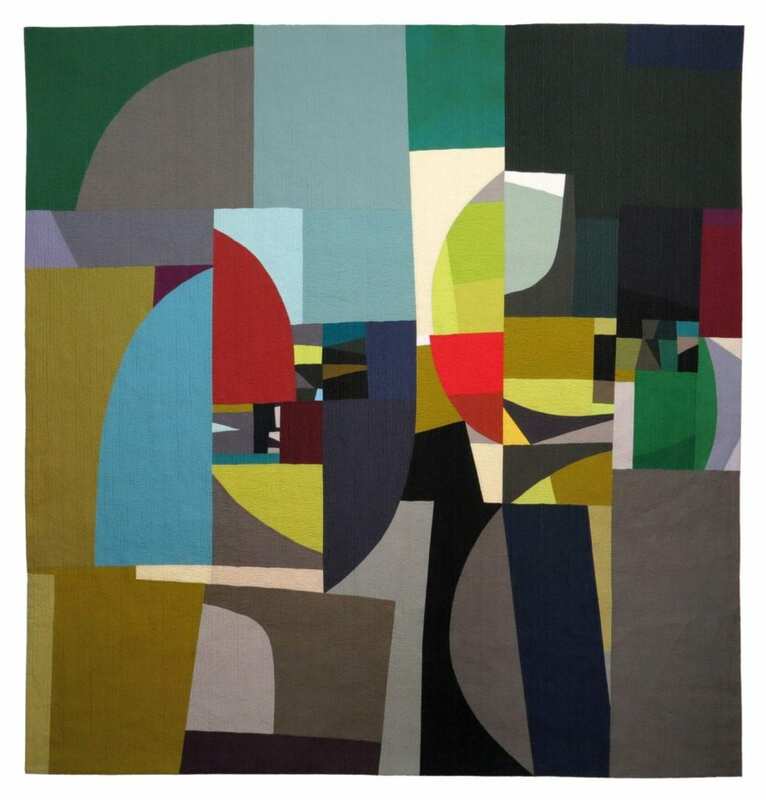 With a BFA in Graphic Communications from the Center for Creative Studies, Elizabeth Brandt has worked as an advertising art director, a freelance illustrator, and in 2010 began studying with Nancy Crow who inspired and educated Brandt about the creative possibilities of quilt-making. 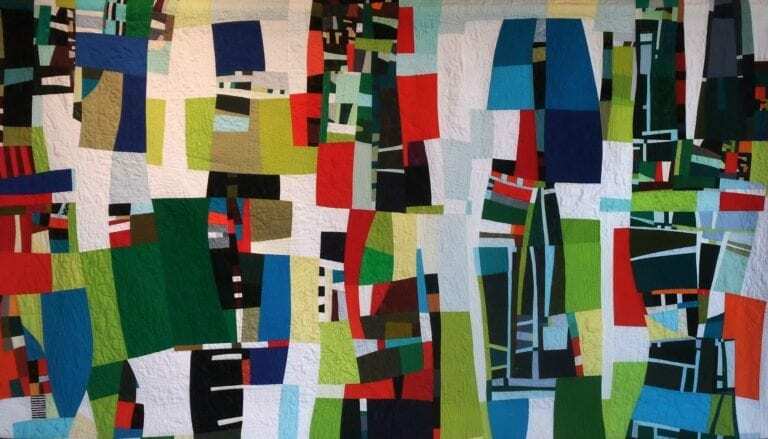 Currently living near Lake Macatawa in Michigan, Brandt has spent the last 8 years creating artwork full time. 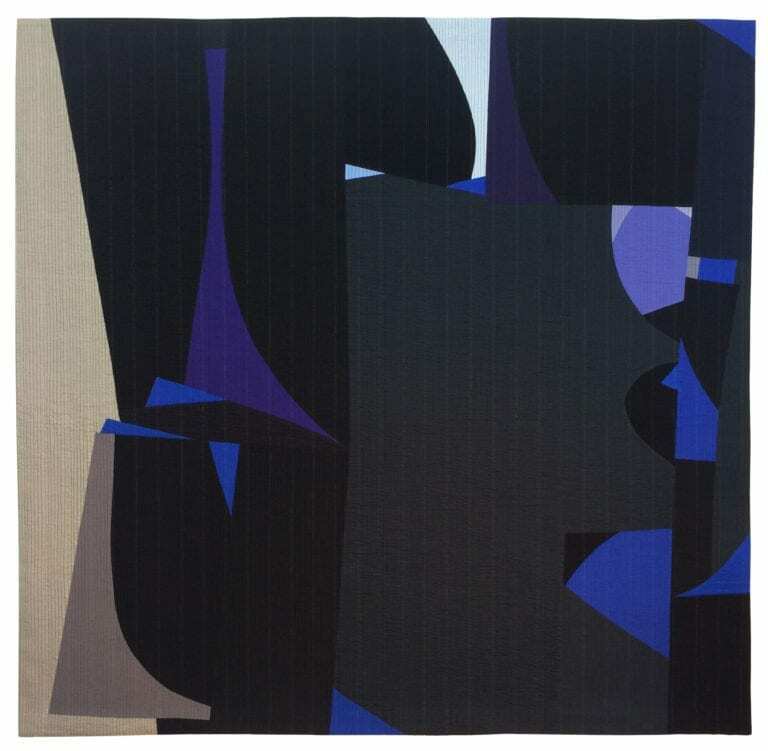 I create my artwork improvisationally which requires me to stay focused completely on the piece as it evolves, not to daydream about the past or future. If I’m paying close enough attention, I have a chance to catch the unexpected as it happens.